This blog section includes articles discussing a variety of forklift training topics. You can find information on principles & policies of forklift safety, obligations of employers and employees in regards to forklift safety, awareness of being exposed to danger when using a forklift, and where to find the best training on performance of a Forklift. That's not all we will provide you with information on where to get the most current forklift safety training materials such as DVDs and Videos. Every business is required by OSHA to have a formal, written and active safety program. Whatever safety training requirements you may have for your business, American CPR Training™ offers these topics in a fin informative, inexpensive, and time saving manner - and best of all, we come to your location and training your personnel on-site which saves you the additional travel time and expense of sending your employees out for training. We work with many of our clients to schedule their training classes for the entire year in January. This way their Managers and Staff can plan ahead to assure they will be available on the scheduled dates. While CPR, First Aid, AED, Bloodborne Pathogens, and Forklift Operator Safety (OSHA Industrial Lift Truck Safety) are our most popular topics, we teach over 100 OSHA Safety courses for our clientele across the US and the planet. While the bulk of what we do is live, instructor-led training, many of our clients also have designated "competent person" trainers on staff that can teach some of these other OSHA safety topics, too. To aid in this, we offer some excellent OSHA safety training materials, complete with Instructor guide, student handbooks, DVDs or CDs and the paperwork necessary to properly document the training for your records. This entry was posted in CPR Training, First Aid Training, AED Training, BBP Training, Forklift Training, OSHA and Other Safety Training and tagged first aid, cpr, aed, safety, osha, training, BBP, forklift on January 11, 2016 by American CPR Training Team. CPR saves lives! Being CPR certified will prepare you for any emergency that may come your way. Many organizations teach CPR but questions arise about who officially endorses CPR. There have also been some inquiries about our certifications and course equivalency as well-so let us explain! American CPR Training™ / American EHS is a nationally recognized training organization, just as American Red Cross and American Heart Association. 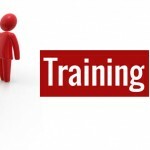 We have been conducting thousands of health and safety trainings nationally for over 20 years. Yes OVER 20 YEARS (we weren’t born yesterday). Our curriculum is consistent with International, ILCOR/ECC, and OSHA/Department of Labor standards- which are the organizations that together update the guidelines for CPR. There are certain organizations that require that the certification must be "consistent with the curriculum of the American Red Cross or the American Heart Association," which covers all 12 national certifications, but is sometime misunderstood as “must be” American Red Cross or American Heart Association. We are not affiliated with the American Heart Association nor the American Red Cross; however, our courses are the equivalent to the curricula of both organizations. Some of our larger clients include: Blue Cross/Blue Shield, Unicare, WellPoint, Anthem, the FDA, Microsoft, the US Army, the US Coast Guard, and the White House, to name just a few. We even train NIOSH, Federal Occupational Health and the CDC. Furthermore, most of our instructors have taken courses and have been (or are currently) certified as Instructors by the American Red Cross (ARC), the American Heart Association (AHA), American Safety & Health Institute (ASHI), or National Safety Council (NSC). The majority of them are also currently registered EMT's, RN's and Firefighters. Some of our clients ask: What national agency, if any, grants credentials to CPR programs? I know it seems strange, but no agency "grants" credentials. We strongly believe that if we were not teaching AHA equivalent courses that follow the ILCOR/ECC guidelines, we would not still be in business after 20 years! Being knowledgeable about the guidelines, who endorses them along with a combination of making sure the company training you is following the guidelines and applying the appropriate training will ensure you are being trained correctly and by the right organization… American CPR Training™! We are ½ the Time, ½ the Price and TWICE the FUN!™. What does your certification card say? Our certification card will state the course, instructor name and renewal date along with the title of the course completed. Who issues your certification card? CPR, FA, AED, BBP and Forklift Safety are among the most popular courses American CPR Training™ offers; and in addition also offers safety training in all aspects of Environmental Health & Safety along with consulting, products, management, and other services. How can I verify I am being taught the updated guidelines? Guidelines are updated approximately every 5 years. We pride ourselves in being leaders in the Health & Safety field and were extremely pleased to have been the first training organization to introduce the complete C.A.R.E. CPR™ curriculum with updated guidelines in 2016. This entry was posted in CPR Training, First Aid Training, AED Training, BBP Training, Forklift Training, OSHA and Other Safety Training, Instructors Corner and tagged first aid, cpr, aed, safety training, aha, arc, american heart association, OSHA< American Red Cross on January 5, 2016 by American CPR Training Team. Why take the long, boring, expensive safety classes? American CPR Training™ offers lifesaving lessons in an accelerated format at your location (training at work, home, you name it - we come to you!) using the knowledge of the industry's leading professionals, presented in an entertaining and informative manner. Our OSHA Safety Training classes are offered in a "corporate style", streamlined format ~ designed to comply with most current OSHA, ECC and other National regulations, yet still saving time and money by cutting out unnecessary breaks and video time. First Aid Training, CPR Courses , AED, BBP + 100 other safety topics! This entry was posted in CPR Training, First Aid Training, AED Training, BBP Training, Forklift Training, OSHA and Other Safety Training, Health / Medical Education on November 6, 2015 by American CPR Training Team. OSHA Requirements for Industrial Lift Truck / Forklift Safety Training are "Site Specific", meaning that the training must be performed on your equipment, at your facility. Therefore, individual training is impractical, because the training still must occur at your place of business / employment, where you will actually be utilizing the equipment. So, although we CAN perform individual training for OSHA Forklift Safety, you must still pay for a minimum group fee in order to cover the time and expense of sending an Instructor, materials, and equipment to your site. Does this training include an operating license? No, this is only a Forklift Safety course which is still required once you have an operating license. The certification is valid for 3 years. However, if there is an incident or change of equipment at your site, this must be recorded and Forklift Safety is required to be retaken. This entry was posted in Forklift Training on October 31, 2015 by American CPR Training Team.